Hi! 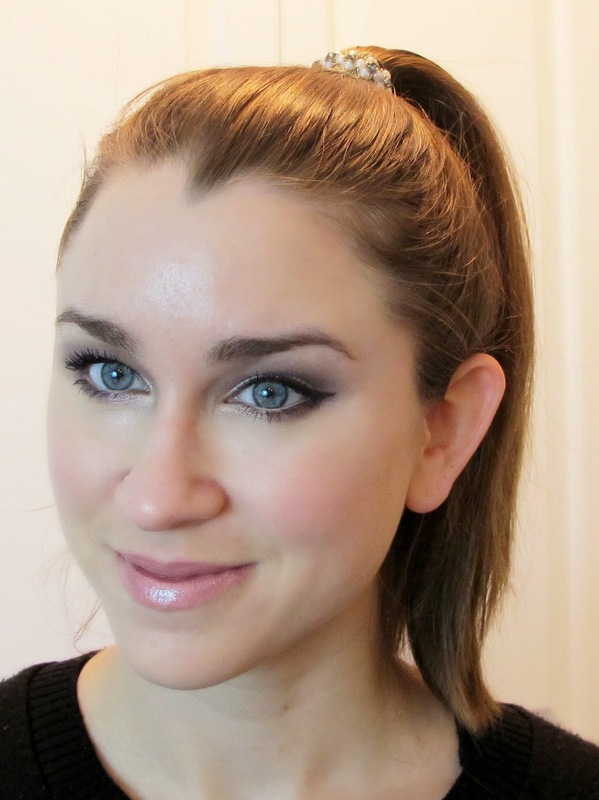 Watching the annual Grammy's is always eye candy for us makeup addicts out there! Seeing all the beautiful stars and their amazing looks provides so much inspiration! One of the standout looks of the night was definitely Taylor Swift. Not only did she put on a fantastic performance, but her skin and eye makeup absolutely glowed! This was one I knew I wanted to try and replicate. Take a look at my interpretation of Taylor's look! 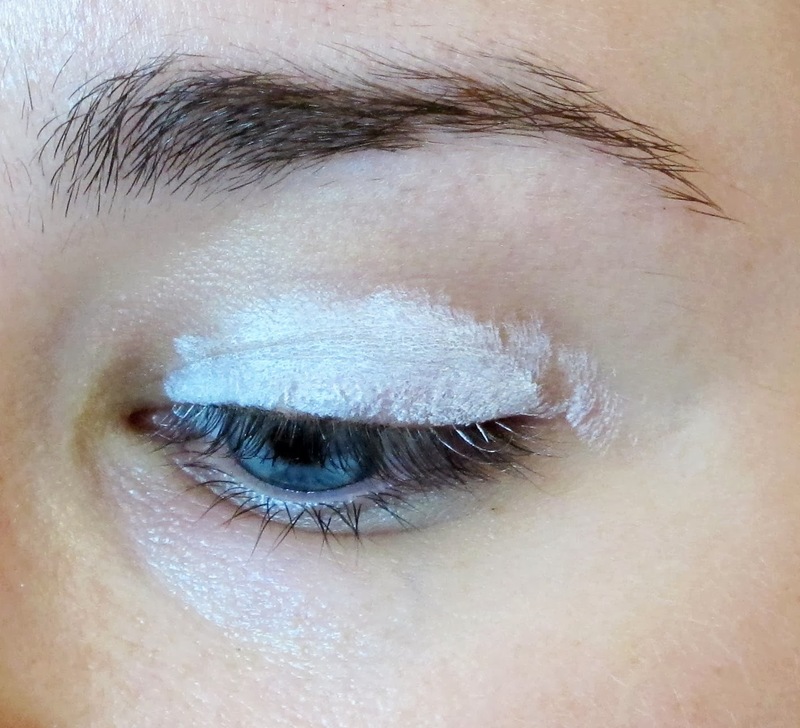 To begin I created a white base using my NYX Jumbo Eye Pencil in Milk. 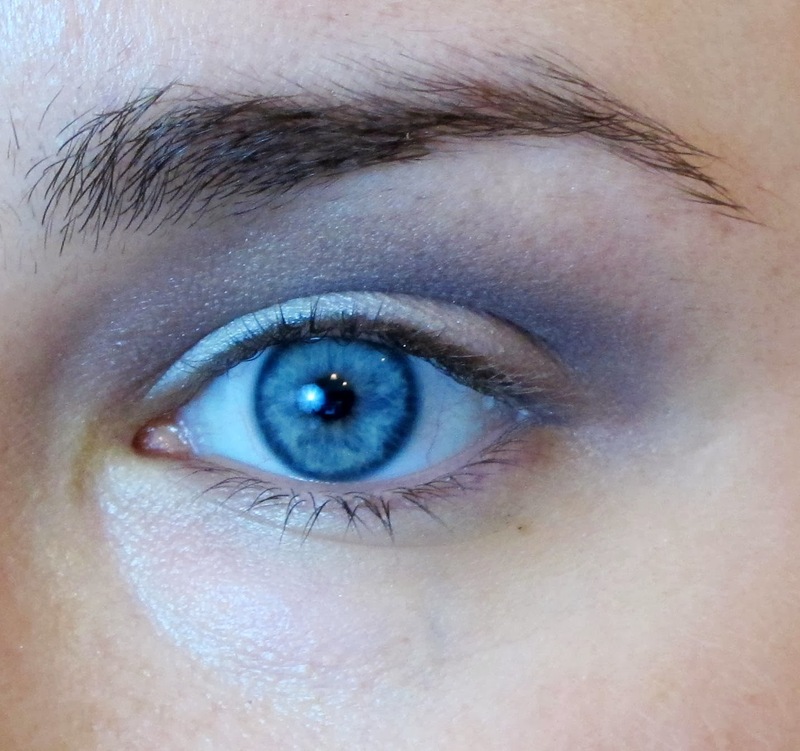 Color it all over the lid and then using a patting motion to blend the color so that the product stays very opaque. Over the white, I used a mix of Venus and W.O.S. from the UD Naked Basics palette. 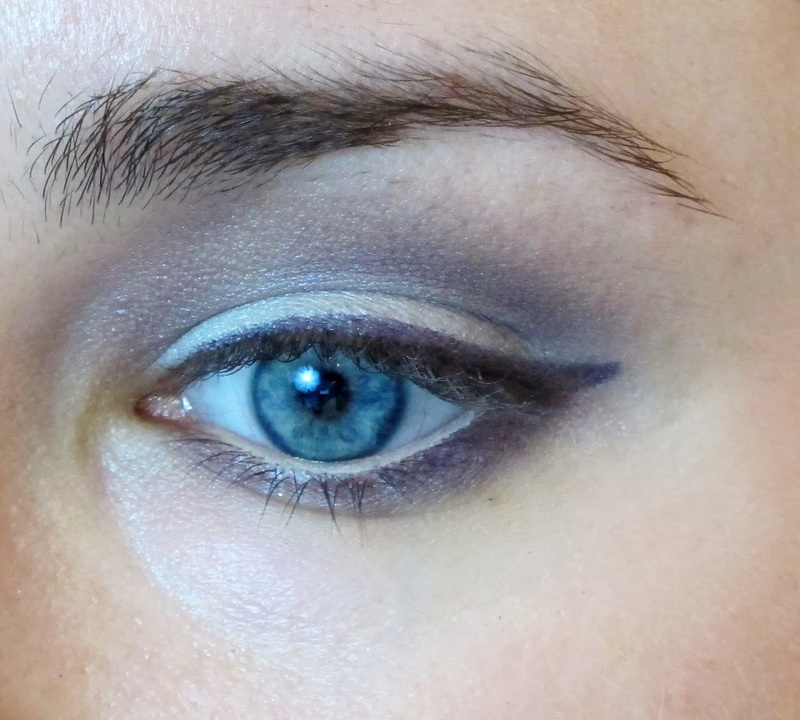 This provides a really pretty shimmery wash of color all over the lid. I found it tricky to replicate the purple color that was used on Taylor. Most of my purples are really sparkly, and Taylor's wasn't, so I had to tone it down a bit. 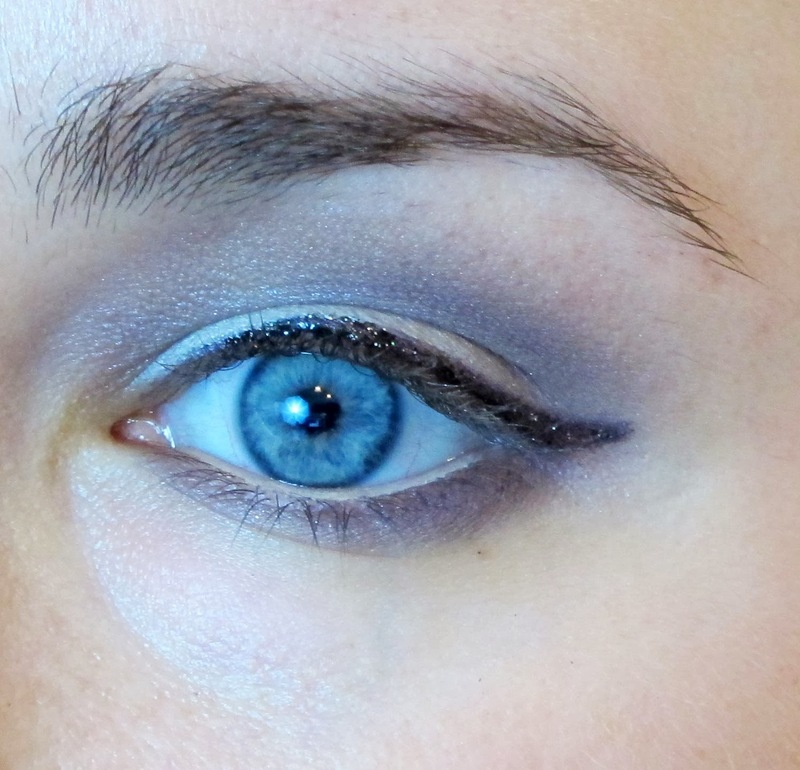 To do this I mixed Quarry by MAC with the darkest color from the Maybelline Eyestudio Quad in Purple Icon. 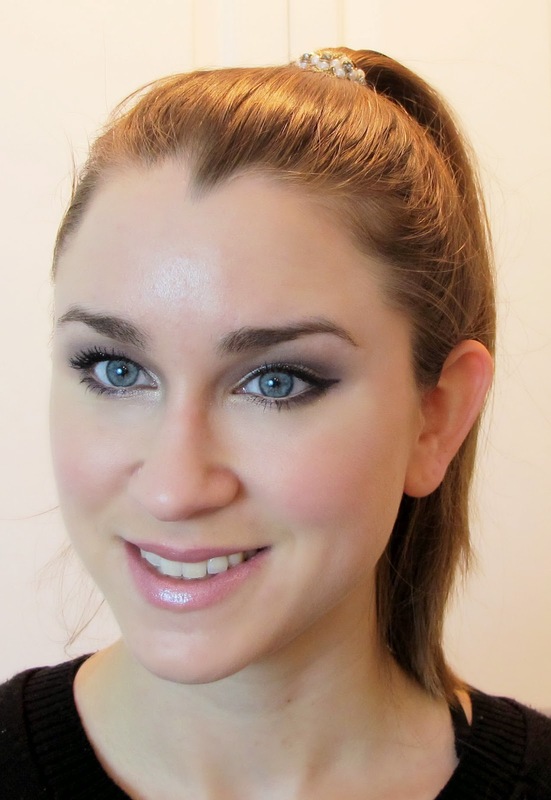 I used a fluffy blending brush to work this throughout the crease as well as into the inner corner of the eye. Also concentrate it on the outer portion of the eyelid. Taylor has a really smokey look, so I used a pencil brush and the same combination of colors and ran it heavily along the lower lash line. Next, line the waterline with a cream colored pencil. 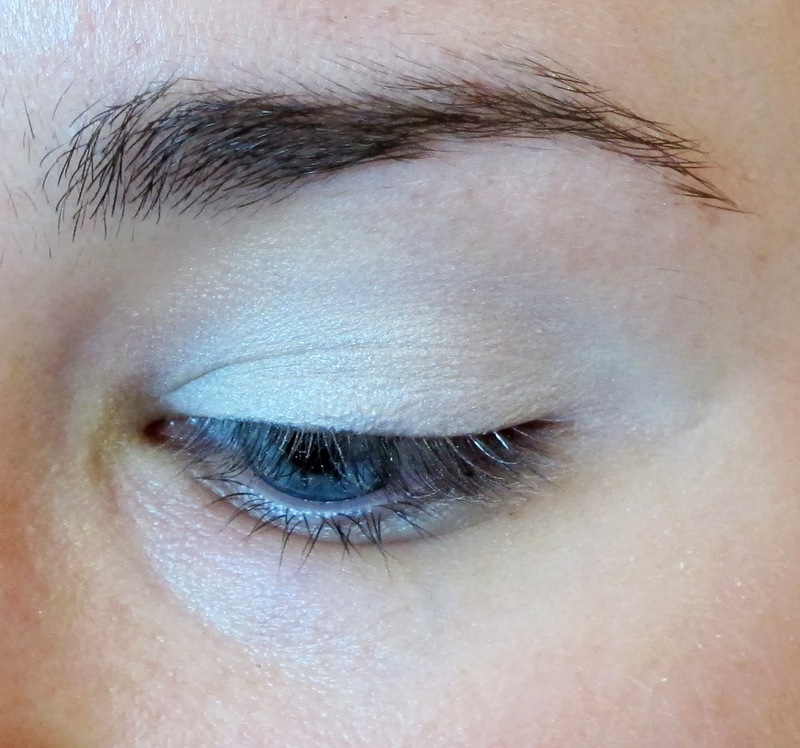 This opens up your eye and makes the makeup appear brighter. I did not have the purple, sparkly liquid liner that Taylor had, so I started off by lining the upper lash line with Ultraviolet gel eyeliner by MAC. Make sure to wing it! I love doing this type of liner with an angled brush. To add the sparkle that the MAC liner was lacking, I used a black, glittery liquid liner from Tarina Tarantino and traced directly over the purple. The star of this makeup is definitely the gorgeous tear duct highlight. 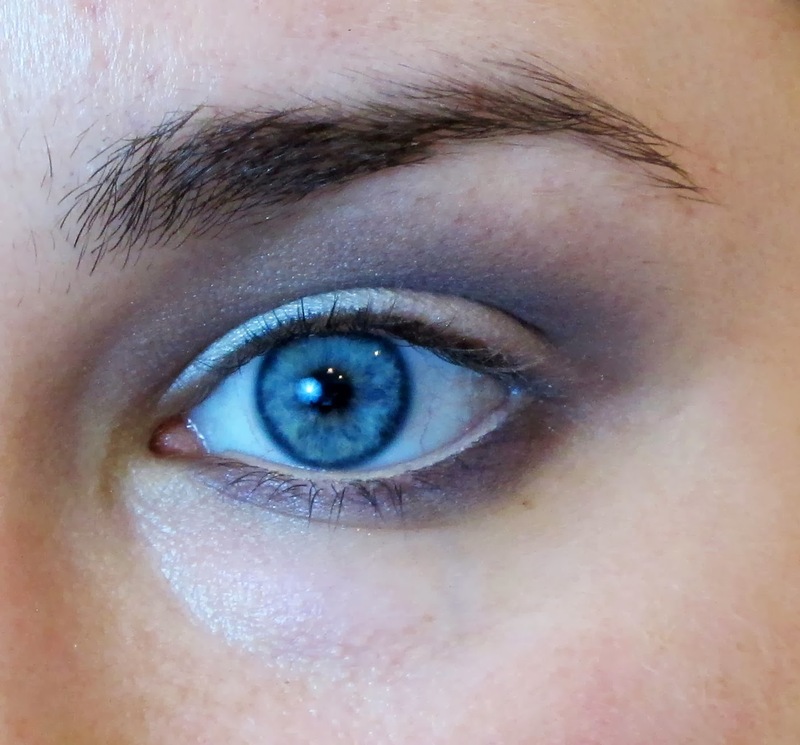 To achieve this, I used MAC's pigment in Vanilla. Finish off with your favorite mascara! I combined the rest of the face into one pic. I used a Beauty Blender and Chanel Perfection Lumiere Foundation along with NARS Radiant Creamy Concealer under the eyes. I used a neutral blush on the cheeks (Maybelline FitMe blush in Light Pink) as well as MAC Mineralize Skinfinish as a highlight. On the lips, I used Revlon's lipstick in Front Row with Revlon's lip gloss in Pink Whisper overtop. Wow, you nailed it! You look great!